With the popularity of pokies in Australia, many casinos online have tried to mix things up by including several different tournaments in 2019. 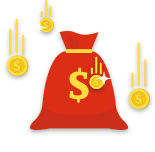 Online pokies players can find several ways to compete at pokies and play for the large jackpot all these players are contributing to. Because slots are typically seen as a solitary activity, many Aussie players are surprised that there are such things as pokies tournaments. Online pokies, Australia and everywhere else, are a solo activity most of the time so it's a real marketing coup that online casino providers have been able to persuade so many players from Oz (and the rest of the world) to see pokies as something akin to a competitive sport. But, that's exactly what they've managed to do. Freeroll - These are often offered as part of a promotion or bonus for players who regularly partake in real money gaming at a casino. They may be free to enter, but they have real cash prizes that are definitely worth competing for. Pay to play - Unlike freeroll these tournaments require an entry fee to join in and, because of this, are usually filled with serious, competitive players who are looking to make a return on their initial investment. Same day - The clue is in the name. These tournaments are held over the course of a single day, with the person at the top of the leaderboard taking home the prize when the countdown is over. Ongoing - These don't go on indefinitely, but usually take place over a single week. Obviously a little more strategy is required; if you're going to be unavailable for, say, three days out of the week or have a very small bankroll you won't be able to match up with committed competitors. The above types are mix and match, in that you could have a same day freeroll or ongoing and the same for pay to play. Slots are all about luck, and that's also true of pokies tournaments, but there are a few things you can do to improve your chances. Read on to find out our tips for pokies tournaments. Players from Oz are at a slight disadvantage when it comes to same day tournaments if the start and end times are designed around a European or American time zone. 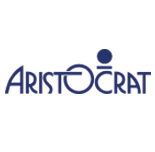 This disadvantage is lessened when play can be spread over the course of a week or longer. If you're still keen on same day tournaments, try to find a sit and go tournament to join, as these give you a little more control over the start time. Remember that you may be playing for points, not real money in the form of AUD, as this may well have an impact on your style of play. For example, if you're usually a cautious player, you might want to take more chances on bonus rounds etc. in the hope of securing a spot at the top of the leaderboard. Don't think too much about strategy. This is all about getting the most spins in as short a time as possible, so keep your fingers crossed and just hitting that button. Some players don't even wait for the reels to stop spinning! One of the aspects of Australian online pokie play that has also become a part of the mobile pokie experience is the tournament. As it is with many other aspects of casino play, many pokie sites offer access to the same pokie tournaments players enjoy online through mobile apps and sites. You’ll need to check with your online casino regarding whether or not they allow such play, but the fact is mobile pokies are such a major part of the market and tournaments attract so many players that it would be unusual for an online casino to not allow mobile access to these popular events. 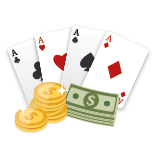 Online casinos have been diligent in making sure that their players can play in real money tournaments. That means that their members can access banking services, making deposits and withdrawals, on their phone as well as via their computer. Thus, if you want to play in a pay to play pokie tournament and need to reload your casino account via your mobile device, you’ll be able to do so quickly and easily. Of course, you’ll also be able to participate in any pokie freerolls offered by your casino. If you’re concerned about security, you’ll be happy to know that your casino utilizes the same top-notch software for their app that they use for their online offerings. That means that your transactions are safe. To ensure complete safety make sure that you play via a secure Wi Fi connection. 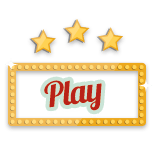 App play is the surest and smoothest way to participate in these events. However, if the app does not allow access to tournaments, then you may need to utilize the browser version of your casino through your mobile device or tablet. Android, iPhone, and other smartphone users can readily enter and compete in pokie tournaments. Tablet users can also access these offerings. Many tournament players prefer to play tournaments on their tablets. Popular tablets include Google Nexus, Samsung Galaxy, Microsoft Surface, and iPad Pro. 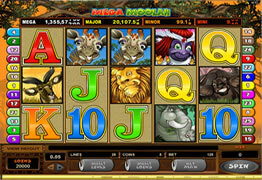 Players like to engage in pokie tournaments on their tablets due to the fact that their screens are much bigger than phone screens, making manipulation of game controls easier. Plus, tablets are quite light and easy to handle even when compared to mobile phones. As far as pokie titles are concerned, you’ll find that some of the most popular onlines games are available via the casino’s mobile app. 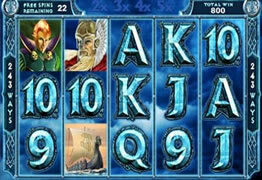 Many of these pokies are the ones that are utilized for tournaments. Possible tournament pokies include Gladiator, Queen of the Nile, Queen of the Nile II, Avatar, Jurassic Park, Fruit Frenzy, and others. One of the primary concerns of every Australian pokie player who loves tournaments is that they are playing on a site that is safe, trustworthy, and secure. Our team of online and mobile pokie specialists has worked hard to find the very best pokie tournament sites. We’ve made it easy for you to join a great online casino where you can play in the very best pokie tournaments. Please see our list of top Australian real money casinos offering pokie tournaments. What sort of prizes pools can I expect in Australia Online Pokies Tournaments? All in all, you might be looking at anything between 50 AUD and tens of thousands of dollars, but you can occasionally find special one-off tournaments with prize funds of 1 million AUD or higher. Is there anything I can do to improve my chances of winning? I like the way you think, but unfortunately beyond following the tips offered above there's not all that much you can do of improving your odds. Pokies are all about luck, and it's just as likely that a novice will get a huge win on their final spin as it is that an experienced player will take the top spot with speedy play. Do all sites offer slots tournaments? 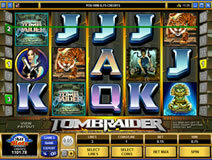 Online pokies, Australia and everywhere else, are some of the most popular games in the casino. Pokies tournaments, however, are a different story. While tournaments are fairly common at sites that use Microgaming casino software, you may not be able to find them elsewhere. It varies from site to site, but a quick poke around a site will soon make it apparent whether or not they offer pokies tournaments.